Mention Donington, and three distinctly different images spring to my mind: the sight and sound of Bernd Rosemeyer manhandling his aluminium silver Auto Union through gates and farmyards in 1938, Ayrton Senna on that opening lap of the 1993 European Grand Prix, and the rows of delectable machinery gathered in the five sheds making up the Donington Collection. 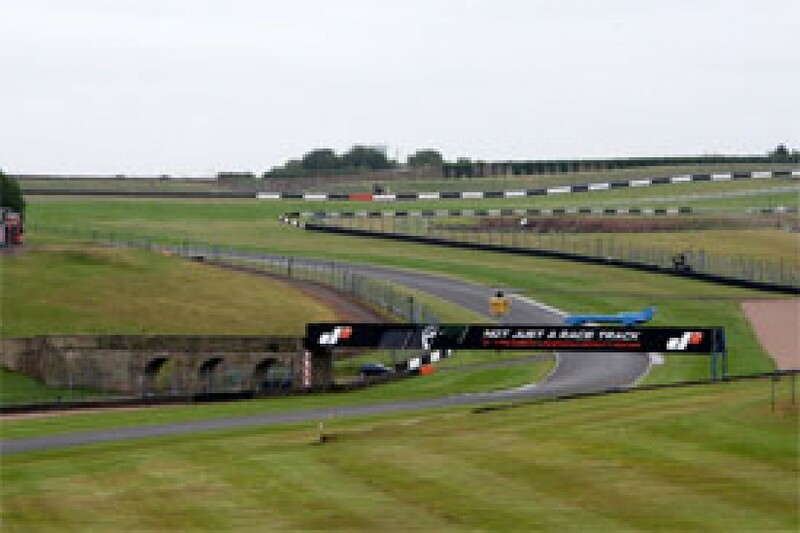 But, Simon Gillett, CEO of Donington Park Leisure Limited, is aiming to add a fourth to the mix, namely 'Home of the British Grand Prix', and is moving earth and heaven to make it happen. Only a blinded enthusiast or exceptionally brave man presents what many believe to be a pie-in-the-sky plan to save the endangered race to an auditorium full of hardened motorsport professionals and media members, but, all credit where it is due: Gillett did just that during the annual Motorsport Business Forum in Monaco last week. But, then 37-year-old Gillett, as son of Elf's former motorsport manager and a British motocross championship competitor in his own right, could be said to fit the first category, whilst an armed forces record which includes tours of duty in the first Gulf War and the robust manner in which he faces down his critics prove he is most certainly no wimp. Add in that he found fortune over a period of 12 years via his computer software business, and it is clear that Donington has a multi-talented individual (a term which fits Gillett perfectly) at its helm. But, are these characteristics enough to save a race he ardently believes was headed for the scrap heap before he took up the challenge, or does he need a whole lot more beside? One thing the project certainly needs is funding - about 100 million quids' worth - whilst the goodwill of an airport's management recently angered by a variety of incidents would certainly not go amiss. Throw in the fact that planning permission for vital upgrading of circuit and infrastructure has not yet been obtained before reflecting on the number of circuits that have recently given notice to commercial rights' holder Bernie Ecclestone, and the odds against a 2010 British GP lengthen considerably. Realise, then, that these issues are merely the start of the list, that eventual grandstand capacity will be considerably less than found at Silverstone and that Gillett has publicly stated that punters will be actively discouraged from arriving in motor cars, and he is, it seems, on a hiding to nowhere faster than any Senna lap could ever take him. Yet, his enthusiasm is effervescent, so what does he know that the rest don't? More to the point, how does he intend to viably add to the British Grand Prix's illustrious history? Given that he signed the contract with Ecclestone before receiving planning permission and that F1's ringmaster has consistently stated it's Donington or nowhere, could it be said that Gillett has recklessly gambled the legacy of the first-ever world championship grand prix? "I have given the British GP a chance when no one else was prepared to," he shot back with a bristle of his full beard, before disclosing that both Donington and Silverstone had been offered the contract, and "we stepped up to the plate and picked it up". The implication is that Silverstone had lost the race in any event. The next implication is that the present race venue simply dithered, but whether the British Racing Drivers' Club was offered the same contract by Formula One Management as was DPLL is, of course, not known. Either way Donington needs to raise £100m merely to pay for Phase 1 developments in time for the 2010 race - totally revised circuit layout, pits and paddock, media and medical centres, a clubhouse, and suites at Starkeys, Red Gate and on the Craners - although additional grandstand capacity is only due to be added as part of Phase 2, referred to as the 'commercial stage'. Thus, although the circuit can presently accommodate 134,000 visitors, Gillett has based his numbers on 80,000, broken down as follows: 5,000 in Paddock Club (the revenue of which accrues to FOM), 7,000 in Donington's own upper crust facilities, 30,000 in the stands and 40,000 grass sitters, most of whom will take advantage of the natural bowl within which the circuit finds itself. The downside of the split is that 50% of punters will have bought general admittance tickets - as opposed to Silverstone, where the figure is closer to 30% and Hockenheim, where it is effectively nil - meaning takings will correspondingly lower. Of the total expected attendance, only 90% will be discouraged from arriving by car on race day, on account of the area's heavily restricted road access, with the rest being forced to either arrive three days before the event (and camp on the grounds), use public transport (rail and coach), park their cars miles away and use a park-and-ride system or arrive by aeroplane at East Midlands Airport. A massive transport management programme, which includes partial closure of the airport for the weekend (negotiations to do just that are allegedly progressing well, with air traffic during the grand prix being dedicated to race patrons), is planned and Gillett is confident that the stay-away rate will be minimal. "I am comfortable with losing a portion of the pie, (losing) the sort of guy who says 'If I can't rev my M3 in the car park I'm not going', because the rest will soon realise that they can be back in London within two hours of the end of the race. We don't need the belligerent ones..."
Nor does he seem fazed that his car restrictions will put off the lifeblood of foreign visitors, most of whom travel by car. "They can camp on site, we can accommodate 45,000 campers as we do for the MotoGP and our Download concerts," he says, before shrugging suggestions that not all foreign visitors may wish to pitch tent. "Then they will just have to park miles away..."
In order to raise the necessary funds, Gillett has plans for a debenture scheme, whereby fans will contribute for the love of the sport and the circuit, and receive, in return, preferential ticket pricing, access to special areas and parking privileges. As the scheme can only be introduced once planning permission has been granted, take-off is some time away (D-Day is 8 January after Gillett requested a postponement from the October date 'to close some holes in our original application') and hence the viability of the scheme is as yet unknown. But, with Britain teetering on the brink of recession, with the north - where those folk who stand to gain the most usage of the privileges predominantly reside - being the hardest hit, these are hardly the ideal times to float such a scheme. But, Gillett believes there is a silver cloud to his timing: building contractors are crying out for work, and thus their quotes are favourable. However, assuming he raises the necessary funds and has a debt-free circuit, how does DPLL hope to, at the very least, break even where the likes of Brands Hatch and Silverstone have failed spectacularly, particularly given the obstacles his visitors will face and the fact that his capacity will be around 10,000 (grandstand seats) down? "I can't explain the inefficiencies of Silverstone, (but) we can for sure make money as we have a completely different contract to Silverstone. Price is not the only thing you can get from Bernie, the contracts between Bernie and Silverstone were not only about money. 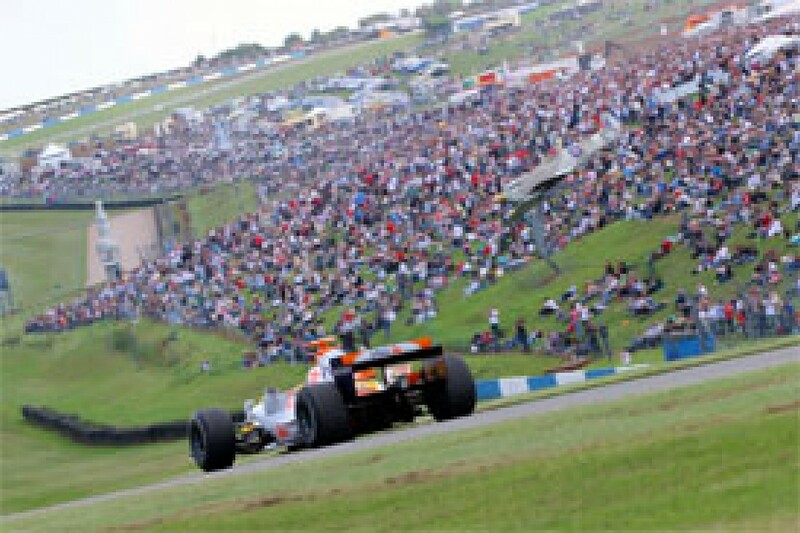 Despite being profitable as a general facility by dint of its present activities, Donington's challenge is to establish itself as a viable European grand prix venue by overcoming the restrictions posed by its location and infrastructure whilst meeting the ever-increasing demands of FOM. None of that comes into play, though, unless the necessary permissions are handed down early in the new year, where after DPLL will have just 18 months to totally revamp the place. Thereafter the circuit needs to retain the race, not just to ensure its own survival but also for that of the race. Gillett is confident he and DPLL can do just that. Thousands of fans across the country hope he is right. The doomsayers have enjoyed a field week, what with the demise of Honda F1, Suzuki's world rally project and the Subaru World Rally Team. However, can it be purely coincidental that a common thread runs through all withdrawals from the sport? All three teams are Japanese, all posted lack-lustre results recently, and, crucially, all three operations had previously failed to find vital external funding, thus forcing their parent companies to carry the full cost. Honda's exit was analysed at length in these pages last week, with the verdict being that Honda's main board decision, abrupt as it was, was not so much a death blow as a mercy killing. Much the same could be said about the withdrawal of the two world rally teams, although in their instances the structure of the 2009 world rally calendar was in all likelihood a major consideration. Participation in international motorsport is as much a matter of enthusiasm at board level as it is an exercise in cost:benefit ratios. If the benefits (car sales) don't substantially exceed the costs (whether subsidised by sponsors/partners or not), then no amount of board-level enthusiasm can save a project. It gets worse: despite there having been two Japanese manufacturers and a French car company in the 2008 entry list, both countries have seen their events removed from this year's calendar, whilst Europe's largest car market (Germany), too, has had its rally canned for 2009, whilst rally Poland has joined the fray. By the same token, would Honda, regardless of its poor 2007/8 results and lack of external funding, still have exited F1 had there been a grand prix on North American soil, its largest market outside Japan? If international motorsport hopes to attract and retain 'names' - be they car companies or commercial sponsors - it needs to place the needs of competitors above its own. If not, rather more companies will depart than join.